A Labor Department report shows that the U.S. economy added 155,000 jobs in November, down from 250,000 the prior month. Analysts had predicted gains of 195,000. The report comes amid heightened speculation that the economy is slowing. 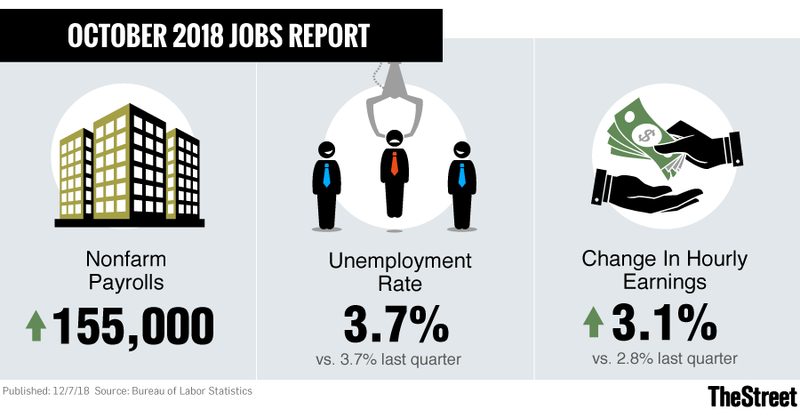 The U.S. saw declining jobs growth last month, keeping the unemployment rate at a half-century low even amid signs that the economy might be slowing down. While the Fed has been raising U.S. interest rates since 2015 to keep inflation in check, some economists now say that the central bank is likely to pause in its campaign early next year -- amid concern that the economy's strength is buckling under the weight of higher borrowing costs for businesses and consumers. President Donald Trump has lobbed repeated criticisms at the central bank for raising interest rates too quickly, saying Fed Chairman Jerome Powell is making a mistake that has undermined the stimulus from his $1.5 trillion of tax cuts and damped enthusiasm in the stock market. Fed officials last month discussed revising their pledge for "further gradual" increases in U.S. interest rates. The discussions were revealed in minutes from the Fed's meeting on Nov. 7 and 8. Since higher interest rates usually act to slow down economic growth, a pause in the Fed's hiking cycle could spur faster growth in corporate profits.